For luxurious Home Elevators in San Antonio that are affordable, trust in Residential Elevators. We provide the best in-home elevator installation and services in San Antonio, TX. We proudly ensure that our in-home elevator services will exceed your expectations.  At Residential Elevators, we carefully and efficiently handle your in-home elevator installation. From the maintenance to the service upgrades, we have everything covered. We are your go-to in-home elevator company in San Antonio, TX that sells, manufacturers, installs and services the perfect elevator for your home. Our Home Elevators in San Antonio, TX complement any style of home. No matter how your home is decorated, our in-home elevators will elevate your home’s style. Our in-home elevators add the most exceptional element of luxury and functionality to your home in San Antonio, TX. Residential Elevators has a proven history of exceptional customer service. With each in-home elevator installation, we exceed our customer’s expectations. Beauty, Quality, and Safety are always our number one priority with your In-Home Elevator purchase in San Antonio, TX. We set the standard for excellence with our In-Home Elevator Service in San Antonio, TX. We proudly stand behind the quality of our work. Residential Elevators always provides affordable in-home elevators that are luxurious and safe. We are the leading provider of in-home elevators in San Antonio, TX. When it comes to our cab builders and installation technicians, we use only the most skilled experts. This ensures the highest level of quality and safety for you San Antonio In-Home Elevator. Every piece, part, and product we use is of the highest quality and have dedicated years to providing a product we can be proud of. Residential Elevators is capable of designing and creating one-of-a-kind in-home elevators in San Antonio, TX. With Residential Elevators, you can fully customize the elevator you want to be installed. Our professional elevator manufacturer representatives can create any elevator you desire. We are dedicated towards mapping out the best options for your project. Always staying committed to providing the highest level of quality, safety and beauty. Our in-home elevators add an entirely new level of luxury to your home in San Antonio, TX. 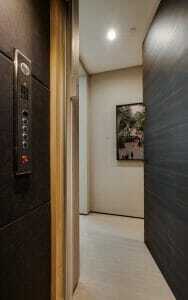 Residential Elevators always delivers the best in-home elevator designs, craftsmanship, installation, and services. Residential Elevators also tailors each service plan to meet the needs of every customer. This method is applied to every elevator we create and install. Safety is the top priority for everyone involved at Residential Elevators. That is why when it comes to our in-home elevator services and installation, we use only the most skilled technicians. With every in-home elevator we install, we implement a whole-system safety circuit. This ensures that if any safety feature fails to work, the elevator will not work. Our San Antonio In-Home Elevators also come with a back-up battery system in case of a power loss. Convenience is one of the biggest advantages of our in-home elevators. Especially for the elderly or handicapped. Every in-home elevator we install is made to provide the safest form of accessibility and function. At Residential Elevators, our in-home elevators are absolutely wheelchair accessible. Take comfort in knowing our in-home elevators will reduce the risk of injuries as well as increase the mobility you have in your home. Quality products and customer service are what makes us the most reliable in-home elevator service in San Antonio, TX. Residential Elevators is sure to exceed your expectations for your San Antonio In-Home Elevator. No project is large or complicated for us. We guarantee the results will exceed your expectations.